When STAN was collected in northwestern South Dakota in 1992, we knew that Stan Sacrison had made a significant discovery. 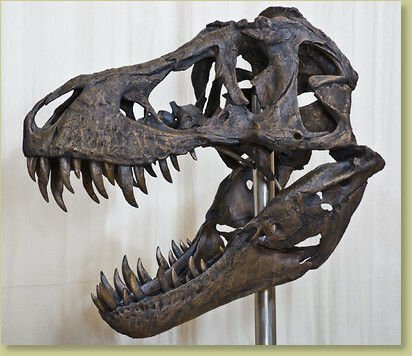 Once the bones were prepared it became clear that STAN has the best skull of any Tyrannosaurus rex ever collected! Not only was STAN’s skull virtually complete, but also the 50 plus bones were preserved in pristine condition. 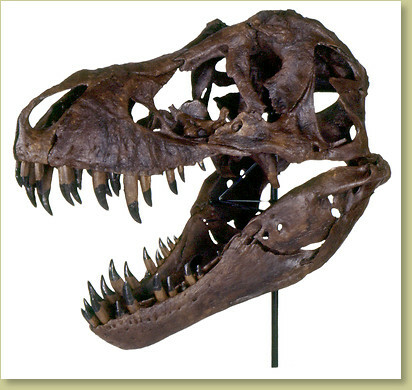 Careful examination of the disarticulated skull shows that T. rex had a kinetic skull. There are hinge, screw, and slip joints that allowed T. rex to open both the upper and lower jaws, greatly increasing the gape. These joints also acted as shock absorbers. STAN’s skull preserves a number of pathologies, or healed injuries. The cheeks (jugals) and lower jaws reveal the presence of irregular openings. One probable explanation for these holes is that they were puncture wounds received in battles with other T. rex. Smoothed edges around the holes indicate that the wounds healed. At the back of the skull on the supraoccipital crest of the braincase a portion of the bone is missing where the powerful neck muscles once attached. 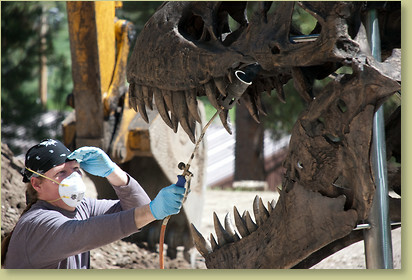 Directly below this compelling injury we find a round hole that is a perfect match for a front lower jaw T. rex tooth. These pathologies indicate the seriousness of the injuries STAN received, endured and recovered from, to live and fight another day. In addition, Black Hills Institute has collaborated with Black Hills Bronze Fine Art Foundry, (almost next door to our facility in Hill City, South Dakota) to produce this exquisite specimen in bronze! Please contact us for current price and delivery schedule. 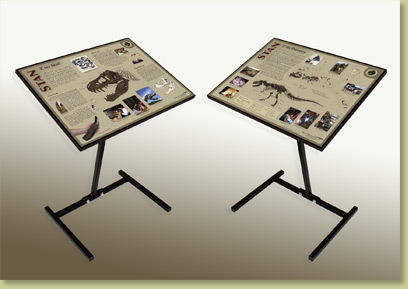 Credit The original STAN T. rex was discovered by Stan Sacrison, and is on display in the Museum at the Black Hills Institute in Hill City, SD. View close-ups of full size STAN skull in bronze!